Every administrator knows that storage is the key to any successful virtual data center. The real question is what options should IT departments consider when looking for storage hardware? 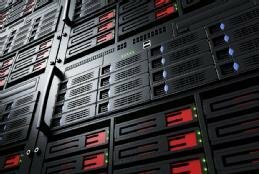 As any virtualization administrator knows, storage can make or break your virtual data center. The storage that you use must deliver sufficient performance to ensure that VMs are able to run smoothly, and it must be fault tolerant so as to prevent an outage. When considering the various options that can be used for physical storage, many administrators eventually consider whether or not they should use a virtual storage area network. The first thing that you must understand about virtual SAN is that the phrase can mean different things depending on which vendor's products you are using. For example, VMware offers a product called Virtual SAN that pools disk space from multiple server nodes. In a broader sense, a virtual SAN is simply a logical partition of a physical SAN. In the case of Hyper-V, the virtual SAN feature isn't really a virtualized SAN, but rather a virtualized Fibre Channel. In essence, the virtual SAN feature allows a VM to leverage physical Fibre Channel connectivity. In this article, we'll examine when and how to use Hyper-V's virtual SAN feature. As for whether or not you should consider using a virtual SAN, the answer varies depending on a number of factors, including your goals and your existing hardware resources. Most of the real-world situations in which an organization takes advantage of virtual SAN or virtual Fibre Channel involve virtualizing workloads that would be difficult or impossible to virtualize without virtualized Fibre Channel. Consider, for instance, a clustered application that uses a Fibre Channel connected storage array as its cluster shared volume. The only way to virtualize the cluster nodes without using virtualized Fibre Channel would be to migrate the data to a location that can be accessed through Internet Small Computer Interface or Server Message Block. However, virtual Fibre Channel allows the organization to virtualize the cluster nodes without performing a data migration. In this case, the virtualized servers would function as a guest cluster and use Fibre Channel to access the cluster shared volume in the same way as when those servers were using physical hardware. Even if an organization wants to virtualize servers that use Fibre Channel connected storage, using virtual Fibre Channel might not always be a viable option. The reason for this is that the virtualization hosts and the storage itself must meet certain requirements in order for virtual Fibre Channel to work. These requirements tend to vary from one vendor's solution to the next, but there are a few things that you generally need to look for. One of the first things that you will have to take into account is whether your Fibre Channel connected storage is compatible with the virtual Fibre Channel approach that you plan on using. As a general rule, your storage will need to support the N_Port ID Virtualization (NPIV) T11 standard. Again, each vendor does things a little bit differently, but NPIV is commonly used for establishing connectivity. If you are using an NPIV-based approach, it is important to check with your storage vendor to see if your hardware limits the number of NPIV ports. Typically, each VM that uses virtual Fibre Channel will create its own NPIV port that remains in place for as long as the VM is running. If the storage has an NPIV port limit, then there is a risk of depleting the available ports. Another consideration is the hardware that exists within your virtualization host. At a minimum, each virtualization host will require a host bus adapter that is supported by the virtualization vendor. Most of the major vendors maintain a hardware compatibility list that outlines the supported hardware. Generally, you will find that each virtualization host will require identical Fibre Channel hardware in order to support live migrations of Fibre Channel connected VMs. Some vendors might also have special configuration requirements. For instance, in order to support live migration, Microsoft's Hyper-V requires you to assign each Fibre Channel adapter two separate World Wide Name addresses. Another point you must consider is storage bandwidth. When a workload is running on a physical server, that workload presumably has dedicated access to the Fibre Channel adapter and is therefore able to take advantage of the adapter's full bandwidth. When virtual Fibre Channel is used, Fibre Channel bandwidth may be shared among multiple virtual machines. If your host server is able to accommodate multiple Fibre Channel adapters then you may be able to use aggregate multiple Fibre Channel adapters in order to achieve greater total available throughput and a degree of fault tolerance. You will simply have to consider the number of available ports in your host server, your hypervisor's capabilities and any limits that may be imposed at the hardware or software level. Hyper-V, for instance, limits each VM to using a maximum of four virtual Fibre Channel Adapters. Virtual SAN and virtual Fibre Channel can be helpful for virtualizing workloads that depend on physical Fibre Channel connected storage. However, prior to using such an approach, it is important to evaluate both the hardware and software requirements for doing so. What might be some potential shortcomings of using a virtual storage area network? What's driving 32-gig Fibre Channel adoption? Some think Fibre Channel will go the way of the dodo thanks to Ethernet, but the evolution of flash will cause companies to make the leap to 32-gig FC eventually. Sixth generation Fibre Channel has the potential to solve fabric-level bottlenecks, but companies tend to choose Ethernet because it has evolved more rapidly. Fibre Channel is the top storage networking technology choice for customers of all-flash arrays and hybrid systems, according to a survey of storage vendors.